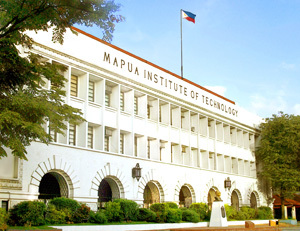 Mapúa Institute of Technology Founded on January 25, 1925, Mapúa Institute of Technology remains the leading technological academic institution and biggest engineering school in the Philippines. It envisions itself to become a global center of excellence in education. To ensure the professional readiness of its students, it adopted the outcomes-based approach to education, the first academic institution in the country to do so. It also pursued and succeeded in getting its 10 engineering and computing programs accredited by widely recognized accrediting body – the US-based ABET. 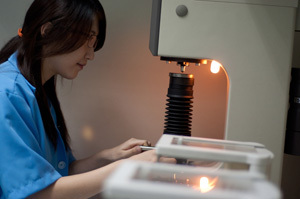 Mapúa is the first school in the Philippines and in Southeast Asia to receive the ABET accreditation for its programs. With its strong systems and processes, global outlook on education, world-class curricula, highly trained professors and state-of-the-art facilities, Mapúa provides unparalleled opportunities and a decided advantage to its graduates. A tradition of excellence For almost nine decades of excellence in technical instruction, MIT has grown to be the Philippines’ biggest engineering school, with at least 15 undergraduate and 18 graduate engineering programs. Its enrollees account for at least 16% of the total student population in B.S. in Chemical (ChE), Civil (CE), Computer (CpE), Electrical (EE), Electronics (ECE), Environmental and Sanitary (EnSE), Industrial (IE), and Mechanical Engineering (ME) programs of the top 10 engineering schools in the country, based on Commission on Higher Education’s (CHED) 2010 enrollment data. MIT’s program offerings in other fields of study have also expanded particularly in Architecture and Design, Information Technology (IT), Business and Management, Multimedia Arts and Sciences, Social Sciences, and Health Science. MIT’s efforts to continuously improve the quality of its education have been notable. 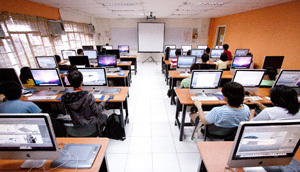 For demonstrating high standards in classroom instruction, research, and extension service, CHED declared the Institute as National Center of Development for CE, CpE, CS (Computer Science), EE, ECE, IE, IT, and ME programs. Industry partnership has also been given more focus in the recent years by the Institute. Currently, it has tie-ups with hundreds of local and international educational institutions, organizations, and companies for its faculty development, collaborative researchers, and student internships. Such efforts enabled MIT to consistently produce topnotchers in licensure examinations. On record, the Institute’s board heroes have reached close to 300 since 2002. MIT moves to fine-tune its teaching standards with a series of accreditations. For one, the Philippine Association of Colleges and Universities Commission on Accreditation (PACUCOA) affirmed the Institute’s high standards in educational operations, granting Level IV accreditation to its CE program and Level III accreditation to its CpE, EE, ECE, EnSE, and IE programs. From 2010 to 2011, MIT has proven itself at par with other first-rate universities around the world when ABET, Inc. granted its first accreditation seal in the entire East Asia to its eight Engineering programs (ChE, CE, CpE, EE, ECE, EnSE, IE, and ME) and two computing programs (B.S. Computer Science and B.S. Information Technology), putting it ahead of the rest of educational institutions in the country. Engineering for the environment Alongside its pursuit of academic excellence, MIT also endeavors to be part of the solution to the global issue of climate change. MIT has long been an advocate of environmental conservation and engineering for the environment, beginning with the opening of its B.S. Environmental and Sanitary Engineering (EnSE) program in 1958, followed by the opening of its Master of Science in Environmental Engineering program in 2001 and Ph.D. in Environmental Engineering program in 2004. EnSE’s curriculum currently includes 17 three-unit courses related to protection and conservation of and engineering for the environment. Furthermore, the Institute has also included environmental engineering and environmental science courses in all of its engineering and non-engineering programs, respectively. MIT believes that these courses are enough introductions for all the students to understand the real situation of the environment. It is also believed that these courses are sufficient to train them to be able to design, construct, and implement sustainable solutions to environmental problems. To complement its instruction, MIT included in its 2010–2020 initiatives the reduction of its carbon footprint. To initiate an institutional effort of carbon footprint reduction (CFR), the Institute formed a core group led by the Subject Chairperson for Chemical Engineering (ChE) Dr. Alvin R. Caparanga. Some ChE students were commissioned to conduct an initial study to compute the Institute’s total carbon footprint. Upon the presentation of results, the CFR committee convened to come up with necessary actions to be taken by the Institute to reduce its carbon footprint, which is mainly produced by its consumption of energy, water, and paper. Together with the different schools and offices, the CFR committee has gathered best practices for the conservation of its resources. MIT has moved to replace all of its lamps with more energy-efficient ones. This will immediately be followed by the school’s replacement of its air-conditioning units. The CFR group is currently in the process of setting targets and monitoring guidelines for this effort, aiming for full implementation in 2012. Apart from its internal efforts, MIT also has extension services dedicated to addressing environmental concerns through education. Under its Social Orientation and Community Involvement Program (SOCIP), the Institute has conducted seminars on recycling, energy conservation, and use of renewable energy; information drive about global warming and pollution in the community; and tree-planting and clean-and-green projects in partnership with the government and non-government organizations. This program aims to provide undergraduate students with a solid basic foundation on the major areas of psychology, which may also be used in preparation for further studies and training in particular specializations of psychology or other professions such as education, law, and business management. The program is designed to effectively prepare students in employing systematic methods of inquiry in the study of human behavior. It aims to develop competencies in research and practice with special emphasis on the application of psychology in various relevant settings. This program is designed to educate and prepare students who seek a profession in the diverse field of accountancy. Students are trained to develop skills in the field of financial accounting, public accounting, managerial accounting, external and internal auditing, accounting information systems, and taxation to pass the CPA board examination. They are also taught hands-on application in Strategic Business Management. The curriculum is patterned with the requirements of CHED, Philippine Accounting Standards, International Accounting Standards, and International Financial Reporting Standards, and training from top 100 companies and Big 5 Accounting firms. This program is designed to guide students in progressively assimilating the creative and technical aspects of the profession while developing in them sensitivity to their rich cultural heritage. It aims to develop well-rounded individuals prepared to meet the challenges and dynamics of architectural practice. Its training combines theoretical and practical aspects of the practice with emphasis on the optimum development of the students’ analytical and creative skills. It also provides computer-aided design and drafting courses, architectural internship, and correlation courses to link the students to the world of practice. This program provides students with a strong foundation in various areas of molecular biosciences such as molecular biology, biochemistry and microbiology, bioinformatics, molecular genetics, and biochemical engineering. The program offers hands-on experience in various macroscopic and microscopic biological systems, product identification and purification, and downstream processing. The program also provides proper training for employment in bio-industries. This program provides a strong foundation on the core and emerging subdisciplines of chemistry. It provides knowledge of and develops skills in undertakings such as composition analysis and testing of different materials and products, discovery of new pharmaceutical products and materials for construction, development of methods of pollution control and prevention, and formulations for consumer products and others. Graduates of the program may engage in one or more of the following activities: research and development, laboratory analysis and testing, quality control, production, environmental pollution control, technical sales and services, and market research and analysis. This program provides the understanding of hardware and software concepts of computing and information transfer. It covers the design and analysis of algorithms, computer architecture, operating systems, structure of programming languages, and advanced techniques in programming. The program includes courses for Cisco Certified Network Associates (CCNA) and employs a track-based curriculum where the students can choose from Advanced Cisco Networking, Database Management Systems, Solaris and Java Technology, HP UNIX Technology, and Microsoft .NET Technology as their field of specialization. This program is a combined study of basic civil engineering and construction management courses. Graduates shall be knowledgeable on the fundamentals of structural and construction engineering like design and analysis, material testing and quality assurance, building systems, construction technologies, and surveying. Graduates shall demonstrate a deep understanding of management principles and its application that are essential in construction projects such as economics, business, accounting, law, statistics, ethics, leadership, decision making and optimization methods, process analysis and design, safety, and cost engineering. This program is designed to enable the students to have an entrepreneurial mindset and develop their entrepreneurial research interest, which will benefit both the students’ business acumen and the community’s improvement. Graduates of the program are expected to be opportunity seeking, innovative, and skilled in all the functional areas of a business operation. They are oriented towards developing their own entrepreneurial ventures and successfully growing them into strong business enterprises. This program is designed for students who desire to complete two (2) programs: BS Geology and BS Geological Engineering. It is an interdisciplinary degree program that applies physics, chemistry, hydrology, geology, and engineering in order to devise engineering solutions to geological problems faced by society. Graduates of the program may pursue a career in industries such as minerals/mining, petroleum, and construction, in the academe, or engage in environmental consultancy or government service. This program is designed for students who intend to become professional geologists and/or those who plan to attend graduate school in geosciences. It is an interdisciplinary science that integrates geological observations and concepts with a range of fields including physics, chemistry, mathematics, and modern technologies in the study of Earth’s processes, environments, and history. Graduates of the program may pursue a career in industries such as minerals/mining, petroleum, and construction, in the academe, or engage in environmental consultancy or government service. This program is designed to develop a multi-disciplinary design professional for the creative industry. It prepares students for a broad range of design services such as: consumer product, packaging, furniture, craft, environmental, transportation, exhibitions, graphic and visual communications. Training strategies combine both theoretical and practical aspects of design development, making use of innovative and technologically relevant instructions on generalized and specialized design courses. Graduates of this program may become entrepreneurs or may practice professionally in any of the above-mentioned range of design services. This program provides students with the required skills and competencies in the field of information technology necessary for an effective management of work activities related to planning, creation, organization, and storage and protection of information. It focuses on the integration of information systems and technologies in the organization and business processes to provide business solutions and competitive advantage. The program includes courses for CCNA and employs a track-based curriculum where the students can choose from IT Service Management, Data Management Systems, Business Analytics, and IT Audit and Control as their field of specialization. This program deals with the study and development of the use of hardware, software, firmware, services, and supporting infrastructure to provide business solutions. It includes courses for CCNA and employs a track-based curriculum where the students can choose from Advanced Cisco Networking, Database Management Systems, Solaris and Java Technology, HP UNIX Technology, and Microsoft .NET Technology as their field of specialization. The Mathematics Department of Mapúa Institute of Technology epitomizes the spirit of both science and engineering. The Department’s mathematics language as a diverse field embodies the art of pure science and the jargon of an analytical tool for investigating and exploring philosophical questions. Hence, the Mathematics Department is an edifice that exemplifies a tribute to human creativity for transforming students to be critical and creative thinkers, and lifelong learners. This program is designed to prepare students to practice as engineers who are experts in the production process, from design through manufacturing. It is concerned with the application of basic scientific and engineering knowledge to the development, manufacture, and distribution of products of all types. It also covers areas as diverse as the design and operation of factories, the economic analysis of projects, computer simulation of manufacturing systems, the use of robots in manufacturing, the design of materials handling systems, and the design of systems for controlling production. This program combines the traditional, new, and emerging fields of mechanical engineering such as mechanics, thermofluid sciences, power systems, mechatronics, robotics, nanotechnology, and renewable energy systems. It also allows students to learn how to design and implement mechatronic and robotic systems. In the final year of their study, the students undertake a research project and undergo an on-the-job training based on their chosen tracking, which could either be in mechatronics engineering, automotive engineering, or refrigeration and air-conditioning engineering. The School of Multimedia and Visual Arts of Mapúa Institute of Technology offers programs that explore infinite possibilities of creativity in concept and design development. Its innovative curricula are geared to develop competencies and greater understanding of art and its societal impact. Instructions are designed to provide utmost learning experience combining traditional art and emerging multimedia technologies with outcomes-based teaching and learning system as the foundation to meet the aptitudes required for successful launching of careers of its graduates. The School of Multimedia and Visual Arts of Mapúa Institute of Technology offers programs that explore infinite possibilities of creativity in concept and design development. Its innovative curricula are geared to develop competencies and greater understanding of art and its societal impact. Instructions are designed to provide utmost learning experience combining traditional art and emerging multimedia technologies with outcomes-based teaching and learning system as a foundation to meet the aptitudes required for successful launching of careers of its graduates.